So I started my new job last Monday and I'm really loving it so far. It's always such a relief to return to research after being out of it for a while. I may not be a great researcher, but I feel most comfortable in the research environment. I feel like there's so much I could learn, and it's stuff I'm actually interested in. I'm working for one of the universities in Melbourne. But I'm not working in Melbourne. I'm working at one of their campuses in Geelong, a town about an hour's drive from Melbourne. The train ride from central Melbs takes about an hour, but of course, we live roughly 30min from the city and after taking a tram part way into town, then changing trains twice, it takes me just under two hours to get to or from work. It's a bit of a commute, but I'm still in the stage where it feels like an adventure. I get to take the train! The work is somewhat similar to work I did at the University of Edinburgh, and in enjoying it. There's lot to be done, though, and I'm starting to feel a bit overwhelmed. I have no real deadline, so I should relax and ease into it. The work isn't going anywhere! 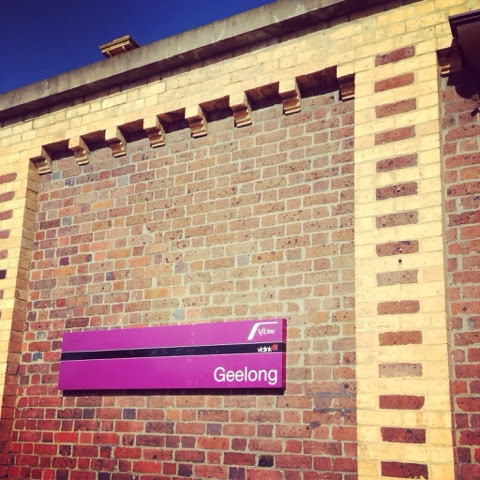 For Geelong, is that a hard or soft "g"? Either way, I think that should be a rapper's name. It's a soft "g", John, like "gee whiz!" It's pronounced "juh-LONG." Not quite as street, but could maybe work.